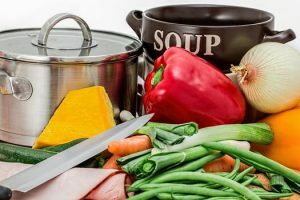 This post is for colleagues who will use a Stone Soup assignment this coming semester or are considering doing so. We now have posts with assessments of 19 course offerings, which include the Stone Soup assignments that faculty used. Some posts include additional documents. Note that this post collects assessments of five ADR courses and this one has assessments of four mediation courses. You can get valuable insights even from assessments of courses that you won’t teach. Faculty and students using Stone Soup have exceeded our expectations. Faculty have been very creative in tailoring assignments to fit their instructional goals, often using or modifying the materials we provided. Students generally have been very enthusiastic to engage people about real cases and they have learned things that they otherwise would not have learned. Faculty generally would use their assignments again, usually with little or no change. I want to highlight a few suggestions that come out of the assessments. Have Students Complete the Assignment as Early as Appropriate. Have students do their interviews or observations soon after you cover relevant material in your class. Insights from the Stone Soup interviews and observations often enhanced students’ learning later in the courses. It can take some lead time for students to arrange interviews or observations, so plan for enough time for them to do this. It is especially important to build in lead time if students are going to observe private cases because the procedure may not occur as scheduled due to settlements, rescheduling, etc. Be Prepared to Help Students Find Interview Subjects and/or Cases to Observe. Students generally were able to find people to interview without help from their instructors, but some did need some help. You may have a network of friends who would be happy to be interviewed. You might also tap into your school’s alumni or you might contact bar associations, associations of DR practitioners, etc. Consider Whether to Have Students Focus on Actual Cases and/or Practitioners’ Philosophies. Given the origins of the Stone Soup Project, we have encouraged faculty to assign students to focus on actual cases. Instead or in addition, some colleagues have assigned students to ask about practitioners’ general practice philosophies or theories. It can be helpful to understand practitioners’ generalizations – recognizing what they do and do not represent. They reflect their thinking, which is important in its own right. Presumably, it is related to actual behavior, but students and faculty should recognize that these descriptions of behaviors are likely to be affected by common cognitive biases. Discuss Students’ Findings in Class. Colleagues who discussed their Stone Soup assignment in class said that the discussion was very valuable. Colleagues who didn’t discuss it in class often wished that they had done so. You might discuss this in class before students submit their papers if that makes sense given your schedule. If you will use Stone Soup this semester, please let me know and I will add you to the roster of inaugural cohort of Stone Soup faculty.